Are they on track for success? China has changed enormously over the last 20 years. Its economy has been growing at 10% a year, and it's on track to be the world’s largest economy soon. Today, 80% of the world’s electronic goods are made in China. As a result, more and more western companies want to do business in China. But how easy is it for a westerner to do business there? Here are some tips from the British Embassy in Beijing. Take your time. In the west, business is ruled by deadlines. Chinese business people seem to act slowly by western standards, so be prepared to wait for decisions. Build relationships. In the west, it's usual to do business first, and then see if a relationship is possible. In China, it's the opposite. You need to build a relationship before you can do business. This leads to the idea of ‘guanxi’. Guanxi means using personal contacts and relationships to do business, and westerners need to understand how real and strong this is in China. It can also be useful to find a reliable Chinese ally to work with you. He or she will be able to help with language or cultural problems and will also be able to understand Chinese body language. 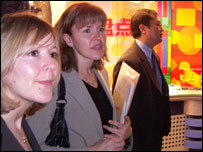 Remember too that a visit by a westerner is often seen as a great honour by Chinese companies. You must remember to respect ‘face’. Face means having high status with your peers. Face can be lost, given or earned. Never criticize or insult someone in front of others, as losing face will make it impossible to make a deal. On the other hand, if you praise someone by saying good things about him or her, then he or she will gain face, but be careful not to do it too much. Accept the pecking order. Hierarchy is very important in China, and the group is more important than the individual. In business, Chinese people often don't like taking responsibility individually and may also not like giving opinions in front of peers, in case they lose face. All these tricks of the trade can help you to play the game and do business successfully in China. Be prepared, and be patient if you want to be a winner in China.